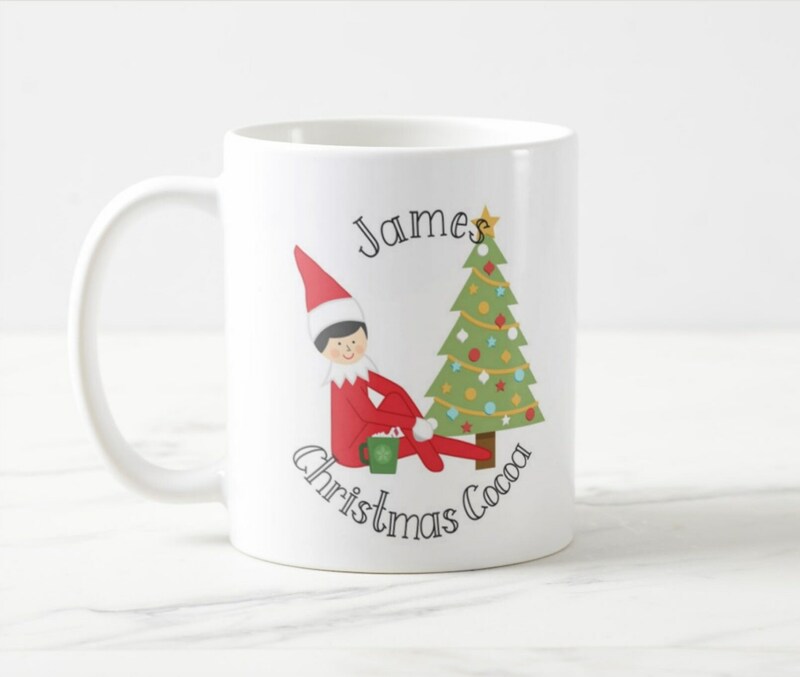 The Elf has jumped off the shelf and onto this personalized ceramic mug with a special poem on the back to celebrate Christmas! 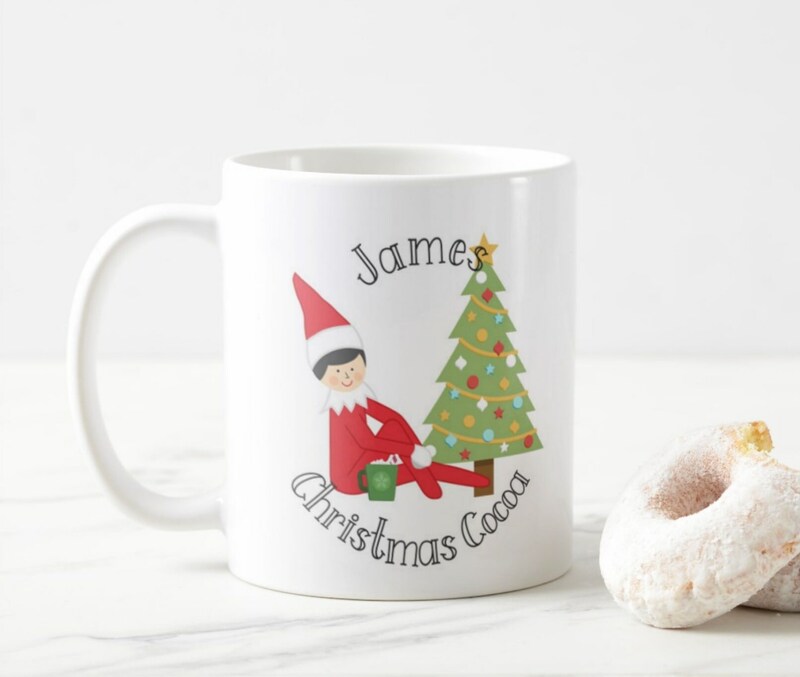 This 11-ounce mug is perfect to drink hot cocoa from with room to add marshmallows & stir with a candy cane. 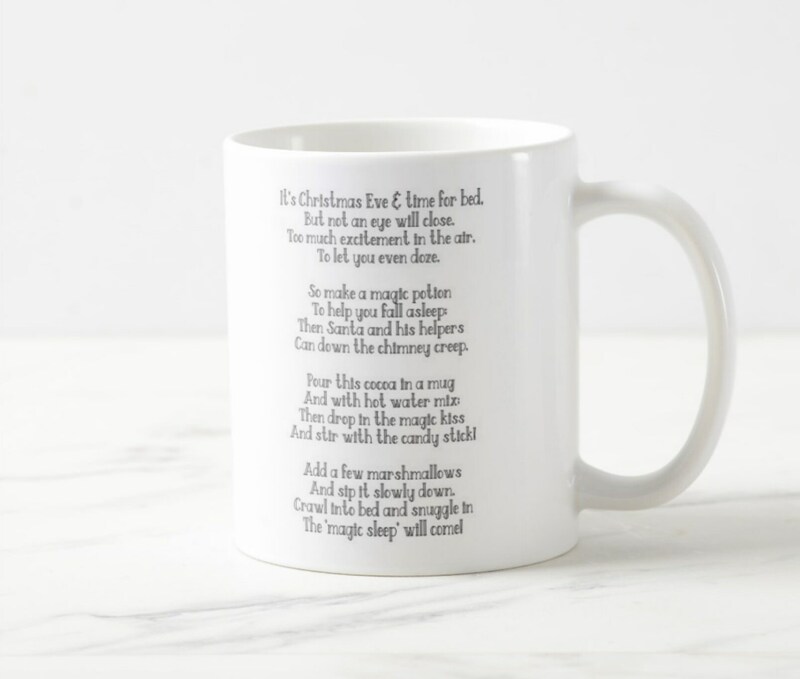 The personalized elf image will be printed on one side & the poem to make "Magic Sleep" on the other side of the mug. Please enter the name you would like personalized on the mug in the comments section when submitting your order. The design is permanently dyed into the surface of the mug. Mugs are dishwasher and microwave safe. Design will not scratch off like vinyl or decals.